Simon Gratz High School is in the city's Hunting Park neighborhood. 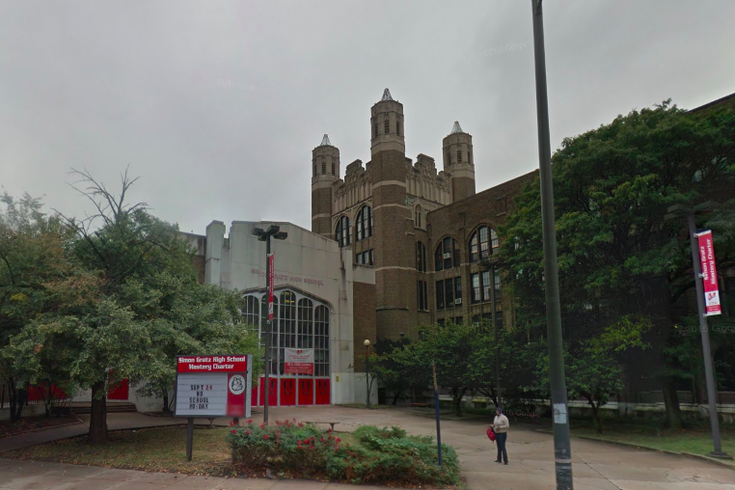 Students at a high school in the city's Nicetown neighborhood were sent home early on Tuesday after the school went on lockdown when several faculty members received threatening text messages on their phones, police said. According to Officer Christine O'Brien, a police spokeswoman, Simon Gratz High School at 1798 W. Hunting Park Ave. went on voluntary lockdown. She declined to discuss the content of the messages, and said it was never an active incident, but school administrators decided on a lockdown as a precaution. According to Monica Lewis, spokesperson for Master Charter Schools, which operates the high school, the threats to school employees claimed there was a bomb in the building and that a "heavily armed individual" would be coming to the school during the day's classes. "It said, 'there's a bomb in the school'," said Lewis. "And, that a heavily armed individual would be on school grounds." Officers with the city's police and the Department of Homeland Security arrived during the lockdown, and Lewis said, they performed a sweep of the school and found no evidence of a bomb at the school. The school closed early and students were allowed to leave at 1:20 p.m., Lewis said.